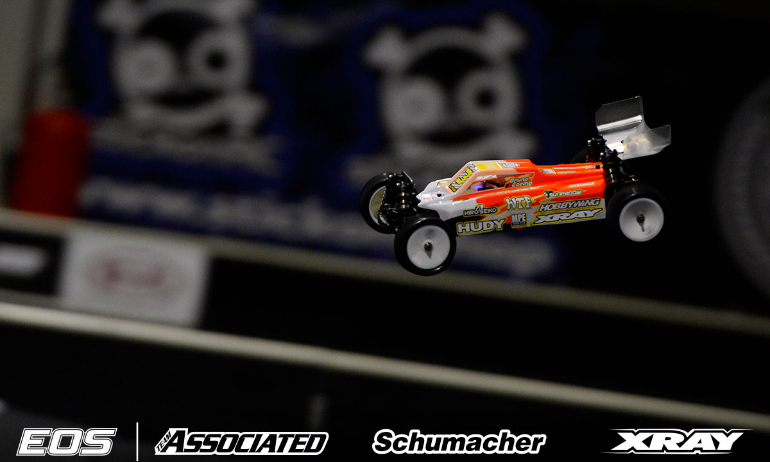 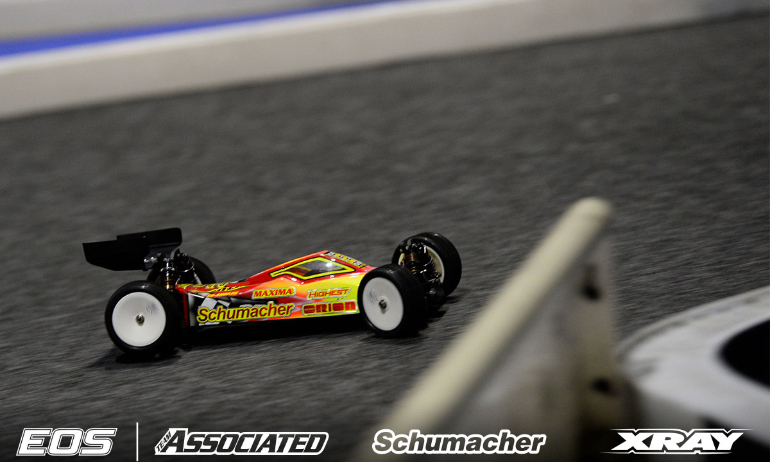 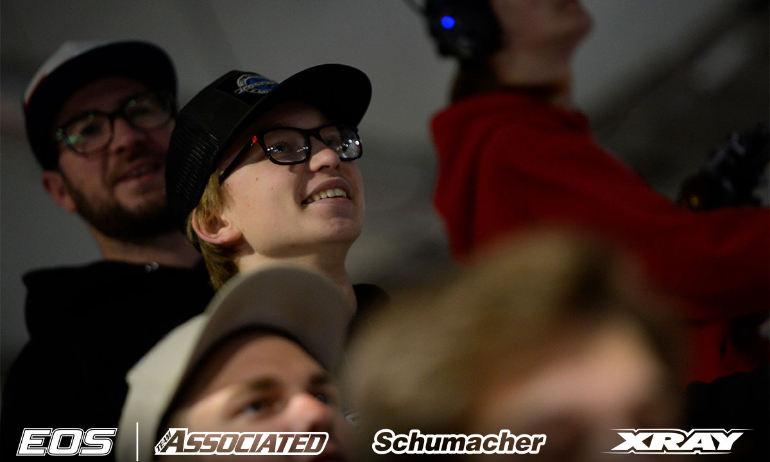 Team Associated’s young Finnish star Joona Haatanen was only 6 tenths back on Neumann but was content with his run declaring it ‘not too bad’. 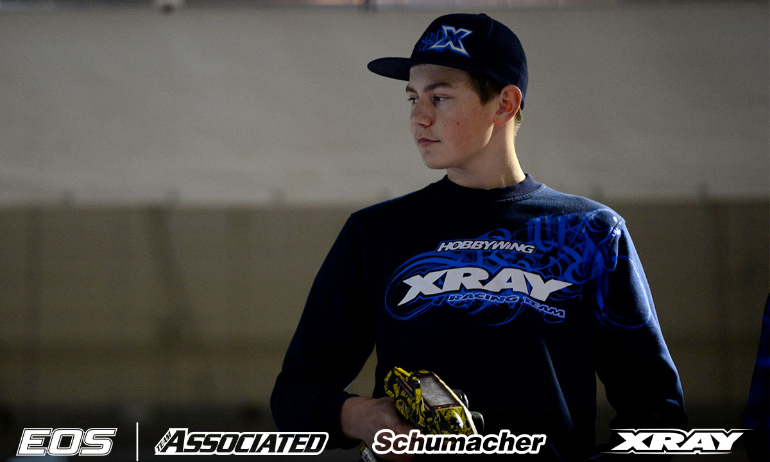 Explaining his strategy going into qualifying he said ‘I drove my race tires in the controlled practice because my car was not too good on new tires, super edgy to drive, so that’s why I think I had an advantage to drive easy in the first qualification.’ Former champion Lee Martin completed the top 5 for Yokomo with Xray designer and multiple race winner Martin Bayer in 6th. 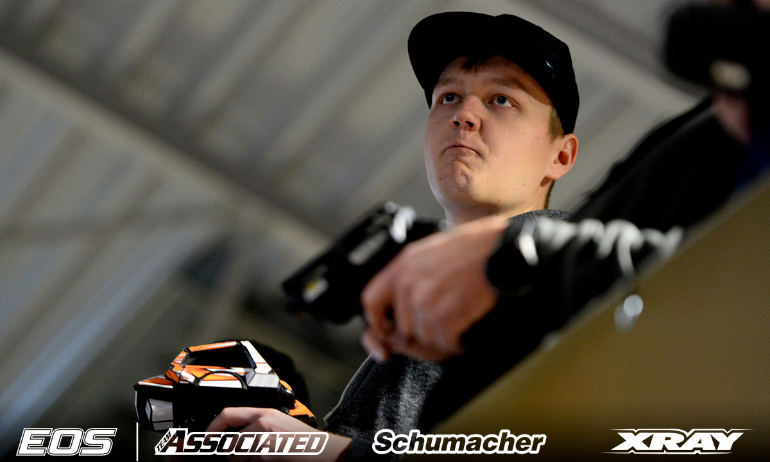 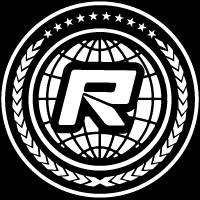 In the 10.5 4wd buggy class Marcel Röttgerkamp took the first round of qualifying from 2wd stock class winner Sven Rudig, while Mirko Morgenstern was 3rd, only one tenth in front of Stephan Eberding in 4th.